Email marketing remains a tried-and-true method for customer acquisition and lead generation. The numbers don’t lie: people check their email more than any other mode of communication, and email marketing is at least three times more effective than social media when it comes to acquiring customers. Email marketing is method of sending emails to both prospective customers and your existing customer base. It’s a flexible strategy—you can use it to generate new leads, or to increase brand loyalty among customers who you’ve already engaged with. A basic email marketing strategy will begin with you compiling an email list by asking your audiences to opt-in on further correspondence. You can collect email addresses through online forms, social media, and personal networks. The most common mistake in email marketing is making your email list opt-out instead of opt-in. You need to ask your audience for permission; if you forego this step, you risk coming off as invasive. Which email software is best for my purposes? How should I design my emails? Should I send every email to everyone on my list? This is where email marketing best practices come in. There are many digital tools that you can use to segment your email list, analyze what’s working and what’s not, and ensure that your emails are properly formatted. Figure out the software that works for your needs. Different types of CRM (Customer Relations Management) software serve different needs at varying price points. Some programs are more geared towards automation, while others have more robust analytics features. Some software is optimized for large multinational corporations, while other programs are geared towards small or medium-sized businesses. Don’t have one email list—have multiple. Your customer base consists of various demographics, prospective customers, and established clients, and you should be able to target them specifically. Use analytics to measure your success. There’s a wealth of metrics available for email marketing—click thrus, time spent reading, how many times an email is opened, and more. These metrics will give you insight into what drives your audience to engage further. Keep file sizes small. Keep images scaled down, and use video sparingly. Large files will fail to load, clog up inboxes, or get caught in spam filters. Avoid spam filters. Send from a clean IP address, using a verified domain, and avoiding cluttered code. Beyond the strategic integration of new tools, effective email marketing requires that you think critically about the content of your emails so that you can speak to your audience in a concise, meaningful manner. Communicate using your brand voice. This will ensure that your email marketing materials are consistent with your other marketing channels, and will help develop a close relationship with your customer base. The five second test. If your reader can’t reach a meaningful CTA within five seconds, consider restructuring or editing down your email. Personalize your emails. Most CRM software will allow you to speak directly to your customer; further segmentation of your email list on demographics and location will make your audience feel like they’re being addressed directly, instead of as a generic “member” or “customer”. Keep it simple. An overly busy design will impact your conversion rate, so keep your emails simple. 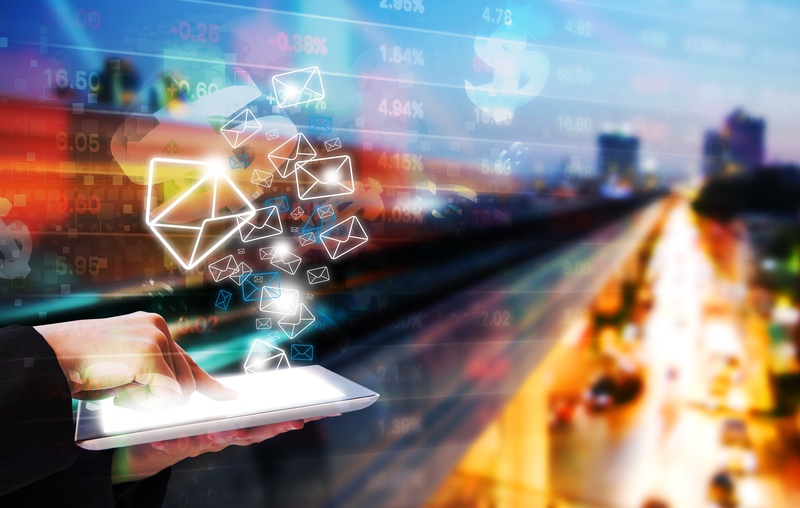 There’s nothing simple about email marketing—email etiquette, customer behavior, and browsing habits are all subject to change, so it makes sense that standards and best practices for email marketing are constantly evolving too. By using new technologies and paying attention to every aspect of your email—design, graphics, word choice, and CTA—you’ll be able to maximize the ROI of your email marketing strategy.